Choosing the right color, style, and slab of granite for your kitchen countertop is the biggest decision you’ll make in the renovation process. 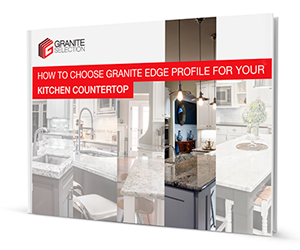 While it may seem insignificant by comparison, selecting the edge for your countertop features almost as many different options and possibilities. From basic bevels and bullnoses to more complex, custom edges, the edge you choose can have an enormous visual impact.